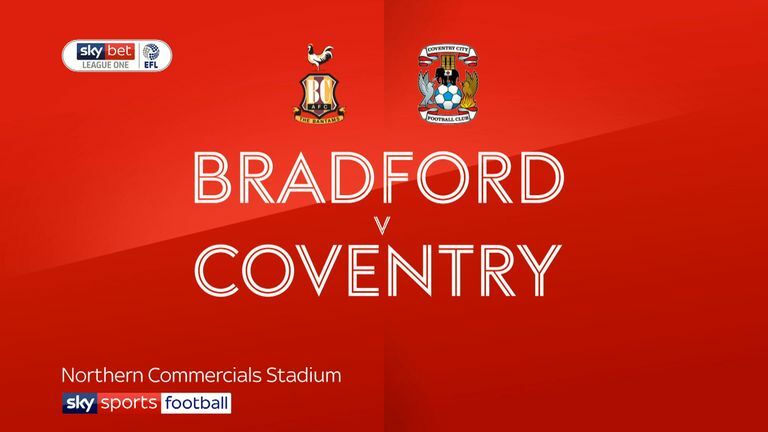 Highlights of the Sky Bet League One match between Bradford City and Coventry City. 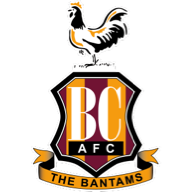 It was Bradford's ninth defeat in 11 matches and their fourth in a row. To compound their misery they had striker George Miller sent off a second yellow card after handling the ball into the net in the 88th minute. Clarke-Harris almost added a second in the seventh minute when keeper Richard O'Donnell made a superb save to keep out his close range header, but goal number two was not long delayed, Conor Chaplin scoring direct from a 20-yard free-kick that curved round the defensive wall and just inside the near post. 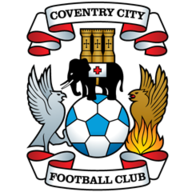 Defender Anthony O'Connor pulled a goal back for Bradford in the 62nd minute, flicking ball high into the corner of the net from Lewis O'Brien's cross, but Coventry retaliated with two goals in five minutes to put the result beyond doubt.